Clarkson University Graduate School is wholly devoted to the success of their international graduate community of scholars and researchers. Students who choose Clarkson for graduate and professional programs come here with purpose: to advance knowledge, to explore ideas that propel society, and to build meaningful careers. Clarkson provides a wide range of graduate student programs and services to help you meet your graduate academic study, internship, employment, and personal goals while attending university. The first step to having a successful post-graduate experience is making sure your finances are situated. Clarkson University Graduate School will work with you to make sure that your graduate school experience is affordable through scholarships, assistantships, loans, and other sources of financial aid. 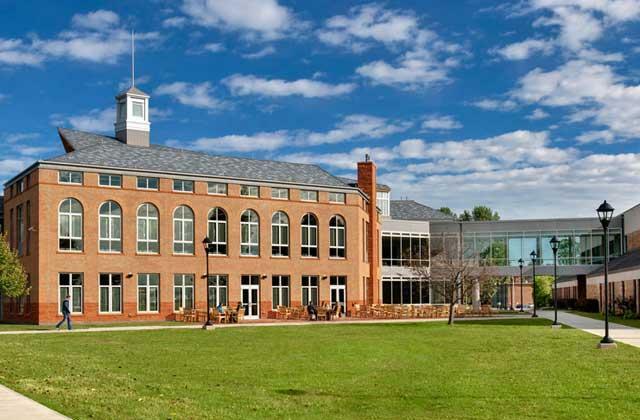 Clarkson University Graduate School provides affordable education to students of modest means and academic excellence. On average, a Clarkson degree will increase your earnings by 42% and PayScale Inc. ranks Clarkson in the top 12 of Best Master’s Degree Granting Programs by salary potential. Tuition fees per credit hour vary depending on the school you choose to enroll in. The first step is working with you to make your graduate school experience affordable through scholarships. These scholarships, many of which are funded by Clarkson Alumni, have made and continue to make a difference in the lives of our students. It is important to note that while international students are eligible for all types of university grants, scholarships, and assistantships, federal student loans are available only to students who are US citizens or permanent residents. Alternative funding may be available to international students via private sources. Graduate students enrolled in Master’s and PhD level programs may finance their education through a combination of university awards and student loans. University awards are granted by each graduate school. At Clarkson University Graduate School you have options on how you would like attend. Students have the option to learn in a classroom setting and experience hands-on teaching. You can also choose to study online and study anywhere in the word with Clarkson's online programs. Finally, you may also choose a combination of both studying online as well as in class depending on your program. See why so many students choose to further their education and career at Clarkson University!
" I've always been really interested in the medical field — but from a business perspective — so a dual-degree program in healthcare management and data analytics was the perfect fit for me. As it turned out, I was in the middle of an internship when I was offered a job in 2015, and I was able to work while pursuing my master's degree and M.B.A."
The boat is back on campus, which means it's almost time for the Bass Fishing Team to get on the water. Less than two months until the Bassmaster College Series Northeastern Regional, right on the St. Lawrence River! As part of our Earth Day celebration, Professor Ken Visser officially flipped the switch on his ducted wind turbine, which has been placed on top of the Science Center and will provide power to the university.